In 1993 Paul Holmes travelled to the UK to meet Margaret Thatcher, who had recently authored "clear and vivid" memoir The Downing Street Years. In this hour-long interview, the outspoken former PM talks NZ anti-nuclear policy (bad), Communism (evil), and sanctions in South Africa (pointless). The horrors of Bosnia, she argues, show what happens when consensus politics win out over strong leadership. An iron lady explosion is only narrowly avoided after Holmes probes Thatcher on David Lange’s comment that meeting her was like being addressed by a Nazi orator. 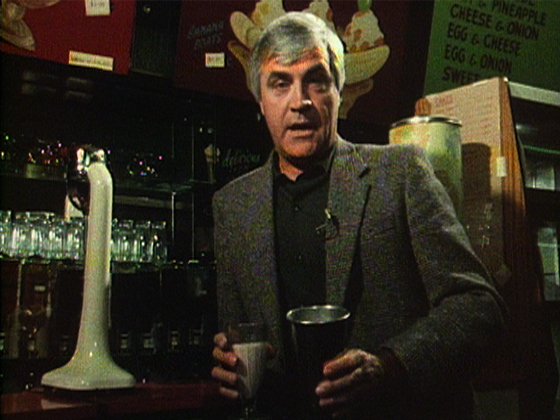 In this episode of the influential NZ architecture series, dapper tour guide David Mitchell looks at the 'Christchurch Style'. 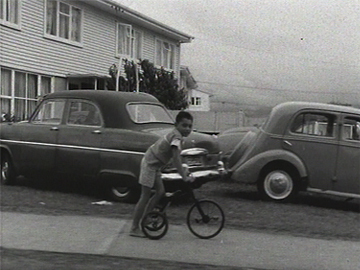 He begins with the humble baches on Taylor's Mistake's cliffs, before focusing on the Euro-influenced brutalism of Miles Warren and the "flamboyant" practice of Peter Beaven (earthquake victims SBS House, and Lyttelton Tunnel's "fifth ship" are featured); and the cottage's modern descendent: Don Donnithorne's post-war home. 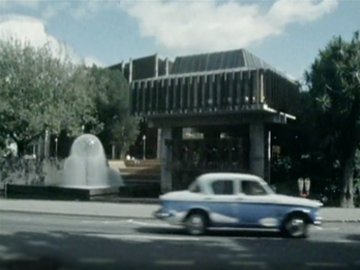 Warren intriguingly compares his process designing Christchurch Town Hall with Jørn Utzon's Sydney Opera House. 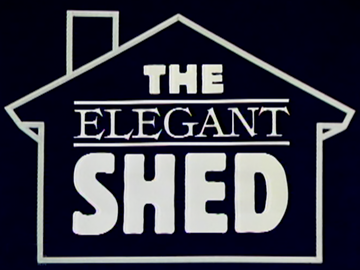 The Elegant Shed was a six part doco series looking at NZ architecture since 1945. 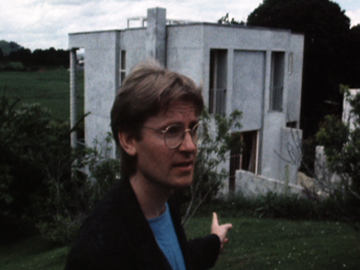 The influential series (and accompanying book) redefined Kiwi’s relationship to their built environment, celebrating the homespun and DIY (bach and boatshed, tramping huts, suburbia, small town main streets) as inspirations for a distinctly local architecture. 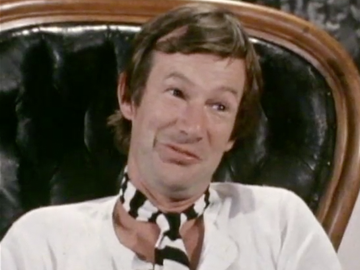 Architect David Mitchell plays tour guide (replete with bohemian goatee and polyester suit), interviews key players (The Group, Ian Athfield) and surveys buildings from bespoke cribs to modernist towers.